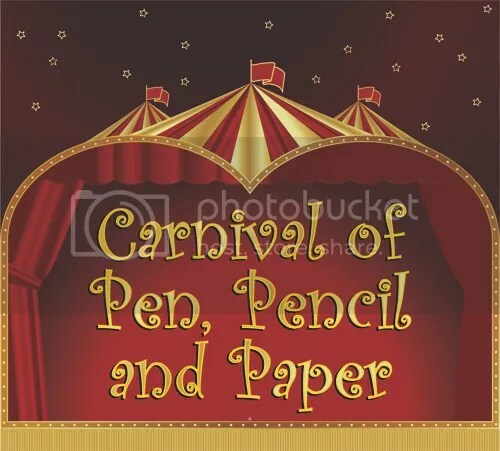 It’s time for the September Carnival of Pen, Paper and Pencil hosted by OfficeSupplyGeek.com. In addition to some great pen and ink reviews there are a few articles specifically related to notebooks. Travisthetrout shares tips for creating a Goal Journal. RantsoftheArcher reviews a recycled Reecovid notepad. NotebookStories shows us a 50 State Release of Field Notes notebooks. SeizetheDave reviews the Habana by QuoVadis. The October Carnival will be hosted here at the JournalingArts blog, so be sure to submit your posts here, and many thanks to Nifty from Notebook Stories for getting this all set up!